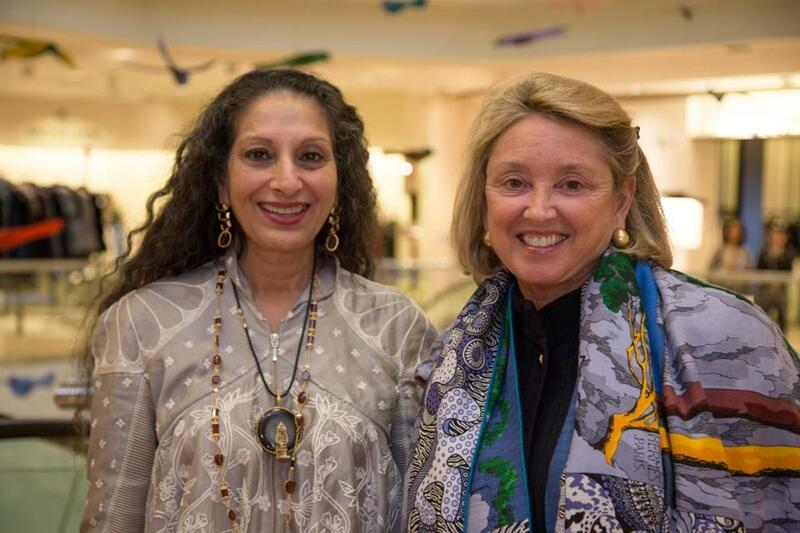 Coomi Bhasin (left) and Wendy Shattuck, founder of Party in the Park. Party in the Park recently hosted a trunk show and pop-up hat reception at Neiman Marcus in Boston. The event featured jewelry designed by Coomi Bhasin, who donated a cuff and bag to help raise money for the cause. This year’s annual Party in the Park luncheon, which benefits the Justine Mee Liff Fund for the Emerald Necklace, will take place May 17 at the Pinebank Promontory at Jamaica Pond.